Mr. Bryan R. Fisher, Managing Partner for Aspen's Suite of Funds, joined the firm in 2000, became a Partner in the company in 2007, and was promoted to his current role of running the day to day business and setting the future direction of the firm in September 2012. His entire financial services career has been focused in alternative investments, specifically managed futures trend following. He has a passion for educating the financial advisor community on different sources of return in alternative investment strategies, how to incorporate them in a diversified portfolio, and how to overcome certain practice management hurdles when allocating to different types of risk premia. Bryan has been registered as an associated person of Aspen Partners with the NFA since December 2001 and principal of Aspen Partners with the NFA since September 2007. In addition, he has been registered as a Branch Office Manager with the NFA since December 2001.
guitar, tennis and visiting the Blue Ridge Mountains as often as possible. Mr.
Aspen's direction, strategy and investment. 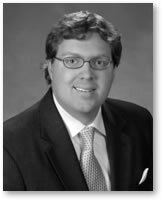 During his sixteen years at Aspen Partners, Mr. Bush has been primarily responsible for business development and client relationships in the Southern and Western Regions of the United States. In his previous career he served in a variety of roles at investment banks and management firms. He started his investment career as an Institutional Salesman for E. F. Hutton & Company and was a Vice President at Donaldson, Lufkin & Jenrette. He has been a senior marketer for two institutional investment advisory organizations. At Aspen Partners, he has helped design, structure and promote a variety of innovative investment programs in Managed Futures and Hedge Funds. Mr. Bush has been registered as an associated person of Aspen Partners, Ltd. with the NFA since January 2000 and principal of Aspen Partners with the NFA since September 2007. He often speaks on the area of Managed Futures at conferences and meetings of consultants and financial advisors. A native of Augusta, Georgia, Mr. Bush received an undergraduate degree in history and international political science from Vanderbilt University and an MBA in International Business from Georgia State University in Atlanta. He is well traveled having visited in professional and personal capacities 42 countries and three crown colonies. Mr. Bush, and his wife, Helen, live in Atlanta. 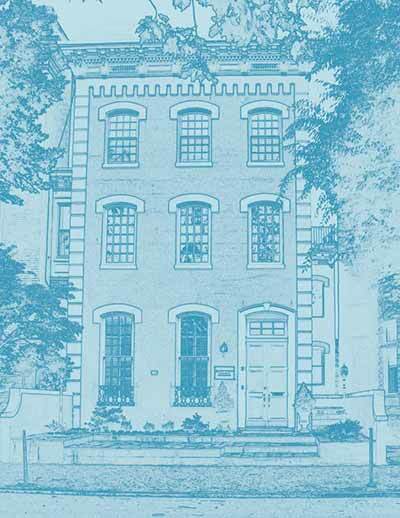 They participate in a number of social organizations including several non-profits focused on historic preservation. They attend the Peachtree Road United Methodist Church. 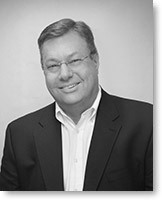 Howard has over 39 years of experience in the financial service industry. He held various management positions during his 10 years with Merrill Lynch from 1979 through 1989, which included areas of operations, compliance, trading, and sales. Howard then worked with the securities division of Transamerica Life Insurance Company to start its securities operations in South Florida. In 1990, he managed the US Securities & Futures division of Verein und Westbank, a German bank. He co-founded The Partners Financial Group in 1993 (a regional boutique broker dealer) which was later successfully sold. He founded Coral Capital Group, LLC, in 1995 which was a securities consulting firm that acted as an advisor to various foreign banks and securities firms. In 1998, Howard was then hired to serve as the Executive Vice President and Principal of Shochet Securities, Inc. and its parent broker dealer, GKN Securities. He reorganized Shochet, established the firm's online trading operations and formed the firm's Registered Investment Advisor subsidiary which he served as its President, and ultimately took Shochet public in 2000. In 2001, Howard formed 1st BridgeHouse Consulting, LLC, a consulting firm that provided compliance advice and regulatory services to broker-dealers, banks, RIAs, credit unions, foreign institutions, and other capital market participants. At the same time, he founded 1st BridgeHouse Securities, a FINRA member firm that acted as an investment banker to raise capital for small to medium-sized firms and formed syndicates with other FINRA broker dealers. 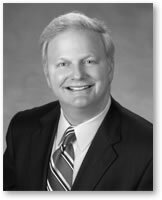 Howard holds various licenses including Registered Representative Registration; General Securities Principal; Registered Options Principal; Municipal Securities Principal; Financial and Operations Principal; and the Investment Banking Representative among other licenses (including the Series 4,7, 9/10, 24, 27, 52, 53, 63, 79, and 99). He is also a licensed Investment Advisor. Howard was a co-founder and Director of Regulatory Affairs for the National Crowdfunding Association (NLCFA) which lobbied the SEC and FINRA on behalf of the industry. Howard studied Agriculture with a specialty in Agricultural Economics and Horticultural Sciences at The Ohio State University. Howard lives in Miami with his wife Cindy of 35 years where they raised their two children. Both children have graduated from the University of Michigan and are out making their own marks in the world. Ms. Terry joined Aspen Partners in 2007. She is responsible for all aspects of the accounting, financial reporting and internal controls of the firm. Ms. Terry has over twenty years of accounting experience in both private industry and public accounting. She has provided accounting and advisory services to businesses in a variety of industries including: financial services, construction, land development, real estate sales and rental, manufacturing, retail, and service industries. 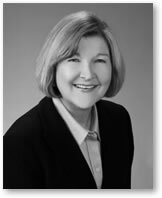 Ms. Terry is a CPA licensed in the state of Georgia and a member of the Georgia Society of CPAs and the American Institute of Certified Public Accountants. She is Series 28 licensed. She received her Bachelor of Science degree in Accounting from Boston University and her MBA in Finance from Kennesaw State University.